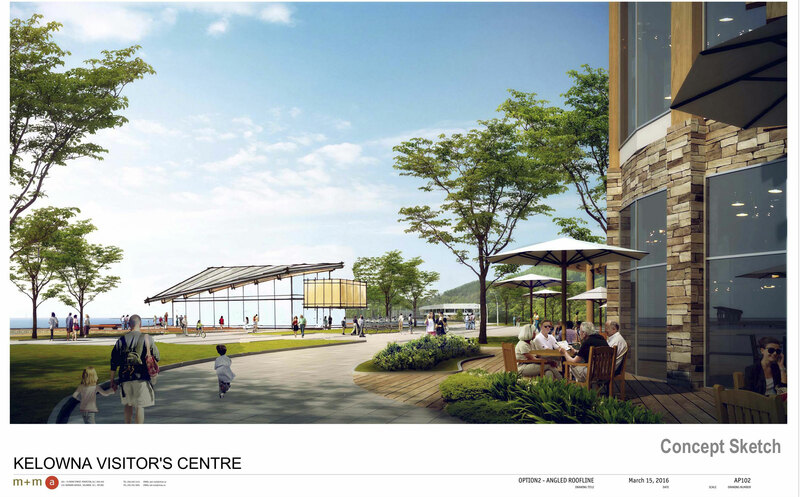 I’m excited to share details with you about the proposed new visitor centre for Kelowna. While the official zoning application has yet to be sent to the City of Kelowna, and the project timeline isn’t yet set, we are sharing early plans with media and the public. The creation of a new visitor centre has been one of our priorities for several years. The current visitor centre location is outdated and has become obsolete. While visitation to our beautiful destination has increased, traffic to the information centre has decreased due to the advent of GPS and other travel technologies. As such, 78% of all North American visitor centres have moved into high-pedestrian downtown areas. They have moved to where their customers are and we must do the same. From research we know that placing visitor centres in high-activity pedestrian areas allows us to influence large numbers of visitors to see and do more, stay longer, spend more, return again and become raving fans and advocates. This is the role of visitor centres and we need to be where the people are to be successful. The Queensway Jetty location is ideal. We estimate the project will cost $3.5 million, and Tourism Kelowna will raise or borrow all the funds required. We will be pursing traditional financing in addition to provincial and federal grants. It is important to note that revenue from the Municipal and Regional District Tax (2% hotel tax) will not be used to pay for the construction of this building. Combining the rents from both our marketing office and the current Visitor Centre, and increasing our merchandising of souvenirs, will allow us to pay the mortgage. In the coming weeks and months we will provide you with more information about the project. If you happen to receive specific questions about the project, you are welcome to refer those asking to Chris Shauf, Director of Marketing and Communications at chris.shauf@tourismkelowna.com or (250) 861-1515 ext 203. For your information and easy reference, our key messages about this exciting project are below. The current visitor centre location is outdated. Visits to the centre are rapidly declining, down by about half in just 4 years. This represents a lost economic opportunity for Kelowna. The project budget is $3.5 million. 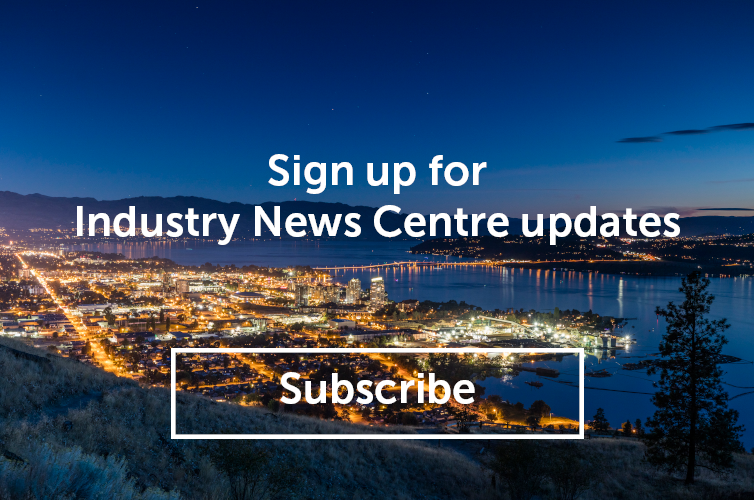 Tourism Kelowna is responsible for raising or borrowing all the funds required to build the project and the City of Kelowna is not contributing funds towards the construction cost. The building will take up a modest footprint. It will be set-back from the waterfront by 50 feet on all sides. It will expand and enhance public space and accessibility to the waterfront sides allowing for the completion of the waterfront walkway which currently bisects the parking lot. It will replace an unsightly parking lot with a beautiful and useful public building complete with public washrooms. The site was Kelowna’s original “point of welcome” as an historic ferry dock and it will once again be used to welcome visitors to Kelowna. We are excited about the opportunities ahead and hope you are, too. If you’d like to share your endorsement of the project or idea, or if you have any questions about this project, please contact me directly at nancy@tourismkelowna.com.